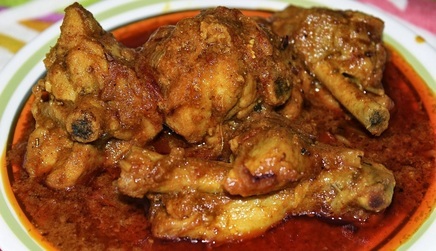 I am planning to cook an oil-rich, Indian style Chicken curry that will look something like this: or this: I am planning to cook a week ahead and freeze them, and my target is to keep the texture and flavor as close to the original as possible. Any freezing technique I should follow to achieve that? individually freeze the cooked chicken pieces in a tray, and maybe freeze the gravy separately. Reheat in an oven in one layer(What temperature? 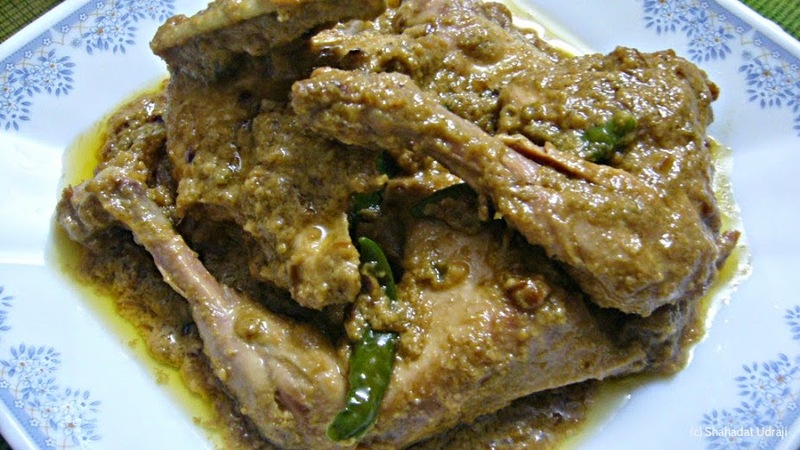 ), and sprinkle with garam masala to shore up flavor. When freezing meat (or anything really), one of the main places where the texture will change is with freezer burn. This can be minimized by double wrapping and preventing exposure to air. An extra really great way to minimize freezer burn especially given that your dish has sauce, is to cover the food with the sauce and then freeze the whole thing as a giant block. I'd just reheat it in a saucepan. Not the answer you're looking for? Browse other questions tagged chicken freezing curry or ask your own question.